A San Francisco Superior Court judge has drastically cut a monetary award against Monsanto but kept a verdict that can mean real trouble for the St. Louis-based agribusiness. Judge Suzanne Bolanos upheld a jury's verdict that its weed killer, Roundup, "caused a groundskeeper's cancer" through its active chemical ingredient, glyphosate. She did so at the same time, according to a recent Associated Press story by Paul Elias, that she slashed the amount of money to be paid to the man from $289 million to $78 million." While denying Monsanto's request for a new trial, Elias' piece says, she cut the jury's punitive damage award from $250 to $39 million. His story says that her decision in effect confirms the jury's view that Monsanto "had purposely ignored warnings and evidence that its popular Roundup product causes cancer, including DeWayne Johnson's lymphoma." In a tentative ruling on Oct. 11, Bolanos had said it appeared to her that the jury had overreached with punitive damages. She also had indicated, the AP story says, that she might erase the entire $250 million judgment — because she found "no compelling evidence presented at trial that Monsanto employees ignored evidence that the weed killer caused cancer." But Bolanos clearly reversed herself in yesterday's ruling "and said the jurors appeared to agree with Johnson's expert witness, Dr. Chadi Nahban, who concluded that [Roundup] caused the groundskeeper's cancer." Some jurors had been "so upset by the prospect of having their verdict thrown out that they wrote to Bolanos," the AP story reported. "I urge you to respect and honor our verdict and the six weeks of our lives that we dedicated to this trial," the San Francisco Chronicle quoted juror Gary Kitahata as writing. And Robert Howard, another juror, said he and his fellow jurors had paid "studious attention" the evidence and "any decision to overturn its verdict would shake his confidence in the judicial system," the Associated Press story again quotes the Chronicle. The final $39 million for punitive damages was the same amount the jury had awarded Johnson for other damages. Monsanto now faces the prospect of going to trial in hundreds of other cases already filed that allege Roundup has caused cancer — and upwards of 5,000 other instances. 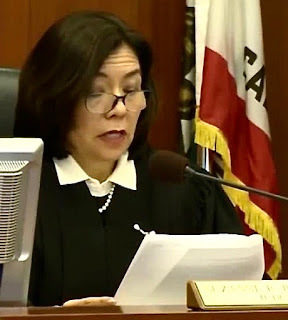 Elias' story notes that "Johnson had sprayed Roundup and a similar product, Ranger Pro, at his job as a pest control manager at a San Francisco Bay Area school district, according to his attorneys. He was diagnosed with non-Hodgkin's lymphoma in 2014 at age 42." He allegedly had applied the weed killer as many as 30 times a year. Bolanos gave Johnson until Dec. 7 "to accept the reduced amount or demand a new trial," the AP article reports. The plaintiff's spokesperson, Diane McKinley, said that "although we believe a reduction in punitive damages was unwarranted and we are weighing the options, we are pleased the court did not disturb the verdict." Punitive damages, the story adds, "are designed to punish companies that juries determine have purposely misbehaved and to deter others from operating similarly." More information on lawsuits about products allegedly causing disease can be found in "Rollercoaster: How a man can survive his partner's breast cancer," a VitalityPress book that I, Woody Weingarten, aimed at male caregivers. When are drug costs and side effects too much? 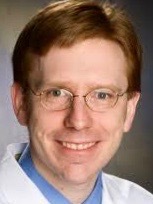 Breast cancer for a long time was in effect immune from immunotherapy. That apparently is no longer the case. 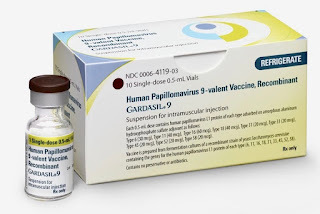 According to an Associated Press story by Marilynn Marchione this week, one of the new immunotherapy drugs "has shown promise against breast cancer in a large study that combined it with chemotherapy to treat an aggressive form of the disease." There's a big caveat lurking in the researchers' labs, however: "The benefit for most women was small." And that, according to Marchione's story, raised questions "about whether the treatment is worth its high cost and side effects." Results of the new study — which tested a drug from Roche called Tecentriq — were discussed at a cancer conference in Munich and published by the New England Journal of Medicine. The type of drugs in question, called checkpoint inhibitors, have previously been found helpful in treatments of many other cancers "by removing a chemical brake that keeps the immune system from killing tumor cells." Their discovery, in fact, recently earned scientists a Nobel Prize. Side effects of the chemo and Tecentriq, which costs $12,500 a month, included nausea and low blood cell counts, similar to other treatments. The story quoted Dr. Michael Hassett of the Dana-Farber Cancer Institute in Boston, who didn't take part in the study, as saying "he felt 'cautious excitement' that immunotherapy may prove helpful for certain breast cancer patients." 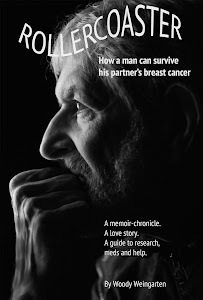 Details about other research on and treatments for the disease can be found in "Rollercoaster: How a man can survive his partner's breast cancer," a VitalityPress book that I, Woody Weingarten, aimed at male caregivers. Two researchers who worked on game-changing therapies that unleash brakes against cancer have won 2018's Nobel Prize for medicine. 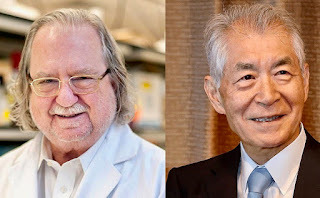 The pair — Dr. James P. Allison of the MC Anderson Cancer Center in Houston and Dr. Tasuko Honjo of Kyoto University in Japan — found "checkpoint inhibitor" therapies that "greatly increased survival of cancer patients and may produce even greater results when combined with traditional therapies," according to an online story this week by Tina Hesman Saey in ScienceNews, the nonprofit magazine of the Society for Science & the Public. The article indicates that "all previous types of cancer therapy were directed at the tumor cell, but Allison's and Honjo's approach was to remove brakes that keep the immune system in check." The two, who were working separately, will equally share the prize of just over $1 million. An earlier piece by Saey and Aimee Cunningham in ScienceNews noted that they had identified proteins that act as brakes on tumor-fighting T cells. A Reuters story said the "scientists' work in the 1990s has since swiftly led to new and dramatically improved therapies for cancers such as melanoma and lung cancer, which had previously been extremely difficult to treat." Treatments known as immune checkpoint blockade that resulted from their work, the piece added, "'have fundamentally changed the outcome' for some advanced cancer patients," the Nobel institute said." The discoveries consequently spawned a multi-billion dollar market for new cancer medicines. "We've gone from being in a situation where patients were effectively untreatable to having a range of therapy options that, when they work, work very well indeed," he said in a statement. "For some patients we see their tumors shrink or completely disappear and are effectively cured." 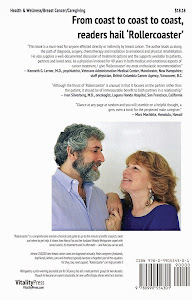 More information on research can be found in "Rollercoaster: How a man can survive his partner's breast cancer," a VitalityPress book I, Woody Weingarten, aimed at male caregivers.